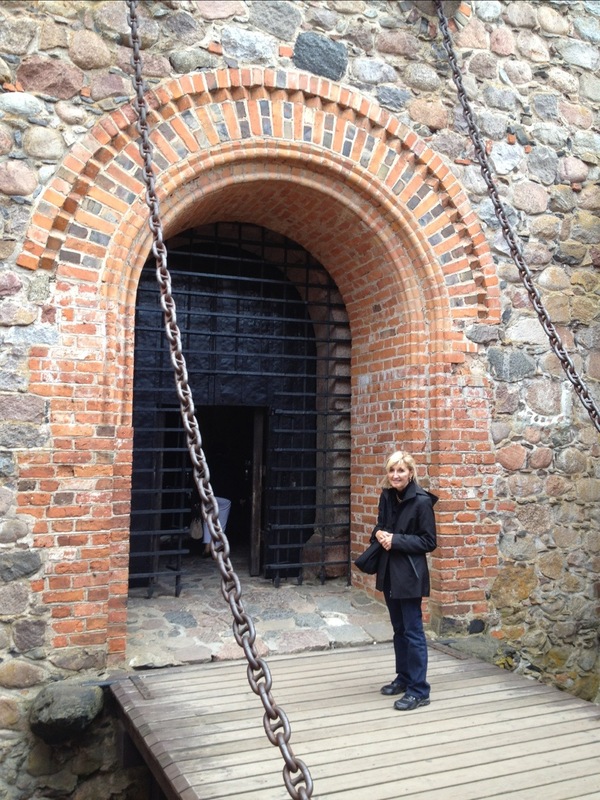 Today was a light day traveling to Trakai island castle. Below is info on the castle from Wiki and some pictures I snapped with the iPhone. 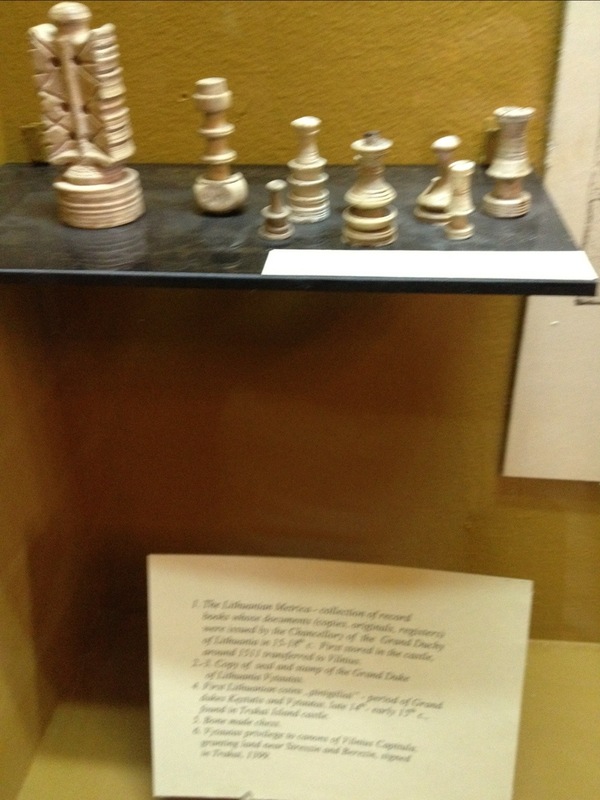 I thought of Bennett when we saw these old chess pieces made of bone. 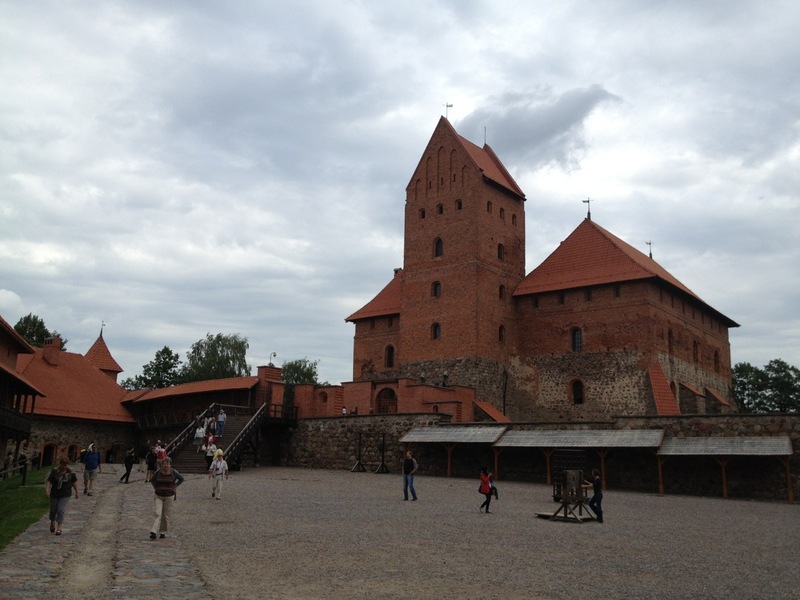 The castle suffered major devastation during an attack by the Teutonic Knights in 1377. 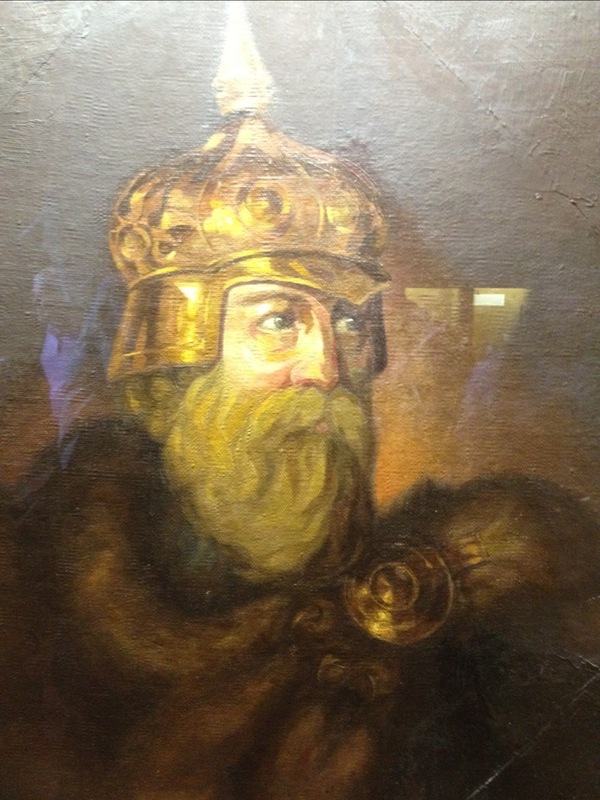 After the assassination of Kęstutis, a power struggle between Jogaila and Vytautas the Great for the title of Grand Duke of Lithuania began. The castle was besieged by both sides. 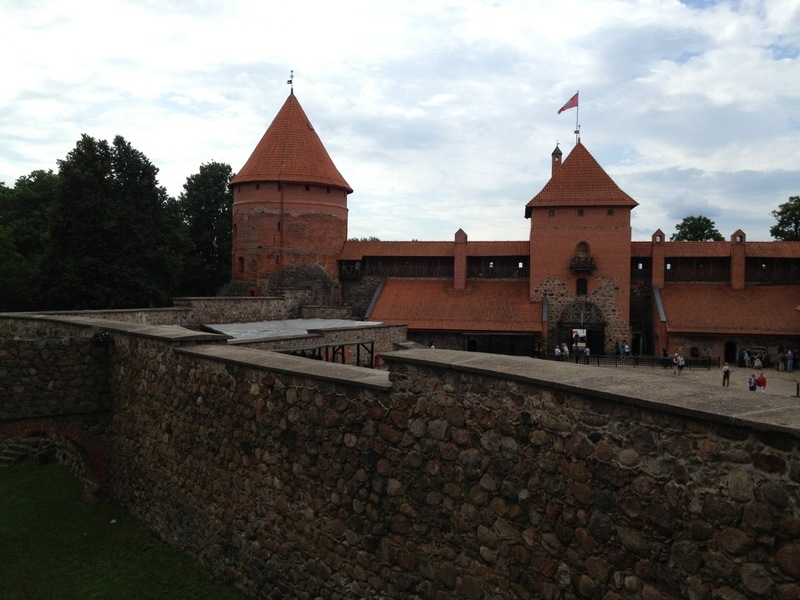 Soon after the reconciliation between Jogaila and Vytautas, the second phase of construction started and continued until 1409. 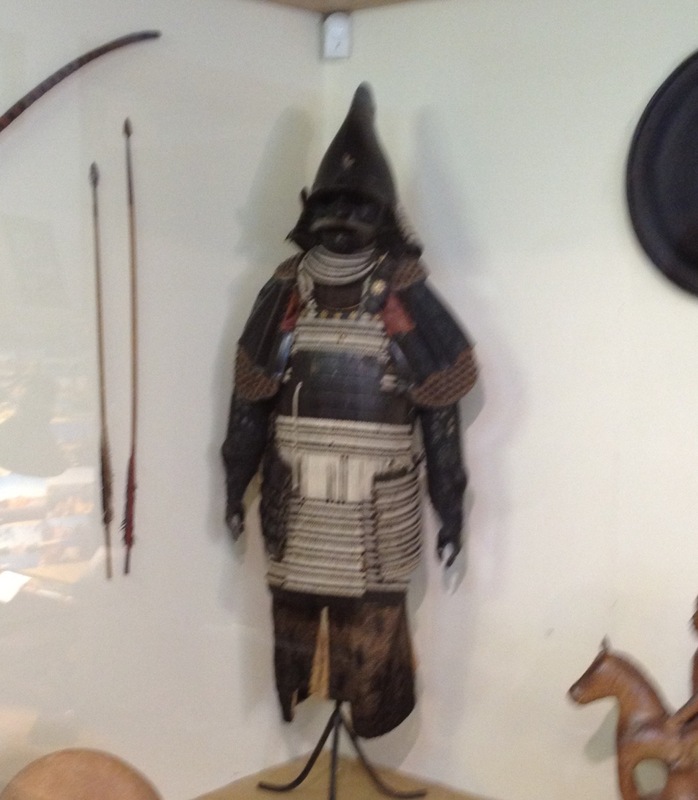 This phase is regarded as the major development in the history of the castle. Apparently, during the truce with the Teutonic Order, the construction works were supervised by the Order’s stonemason Radike, four years before the Battle of Grunwald. During the second phase, two wings were added, and on the southern side a 6 story (35 m. high) donjon was built. The donjon had movable gates which separated the palace from the forecastle. The donjon was used for several functions; besides serving as another defensive structure, it had a chapel and living quarters. It was linked to the multistory Ducal Palace, which had an inner yard. The inner yard had wooden galleries, which ran around the inner wall; these galleries were used to access various support facilities without going inside the palace itself. The entire southern wing of the southern palace was used for the Ducal Hall. 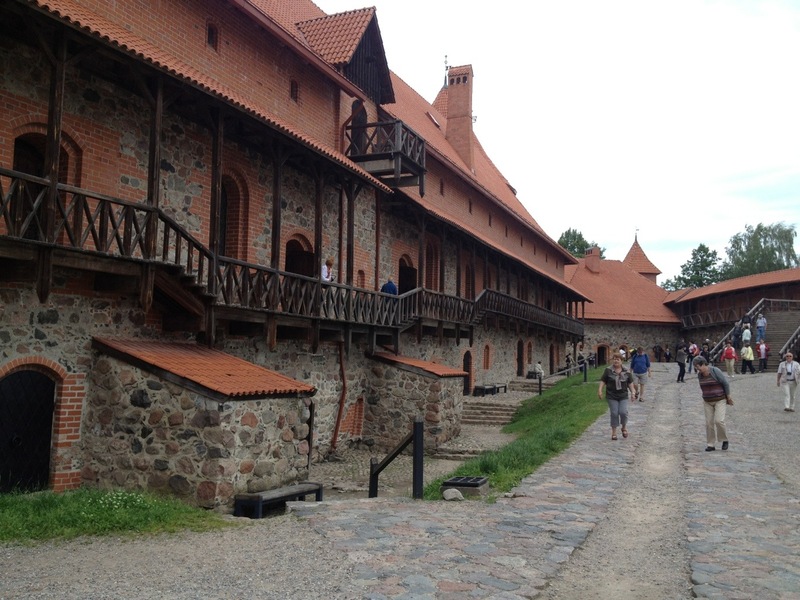 This hall was around 10 x 21 metres in size, and only the Upper Palace in the Vilnius Castle Complex managed to surpass it. The Ducal Hall has preserved some of its original décor. The principal construction material was so-called red Gothic bricks. Stone blocks were used only in the foundations and the upper parts of buildings, towers and walls. The castle was decorated in a variety of ways, including glazed roof tiling, burned bricks, and stained glass windows. Its overall style after the second construction phase could be described as Gothic with some Romanesque features. 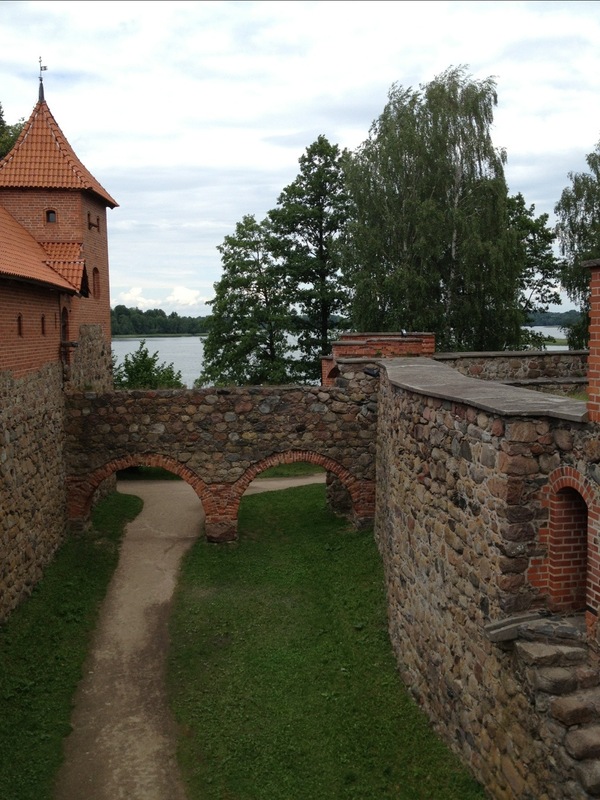 The expansion of the forecastle in the early 15th century marked the third phase of Trakai’s development. The walls of the forecastle were strengthened to a thickness of 2.5 metres and raised with additional firing galleries. Three major defensive towers were constructed on the corners. The southwestern tower was also used as a prison. The top story of the towers was designed for soldiers and housed a large number of cannons. A main gatehouse was also constructed which, along with the Ducal Palace donjon, had movable gates. The gatehouse was reinforced with additional sections for firing galleries. Near the inner walls several buildings were constructed, including stables, kitchens, and other support structures. 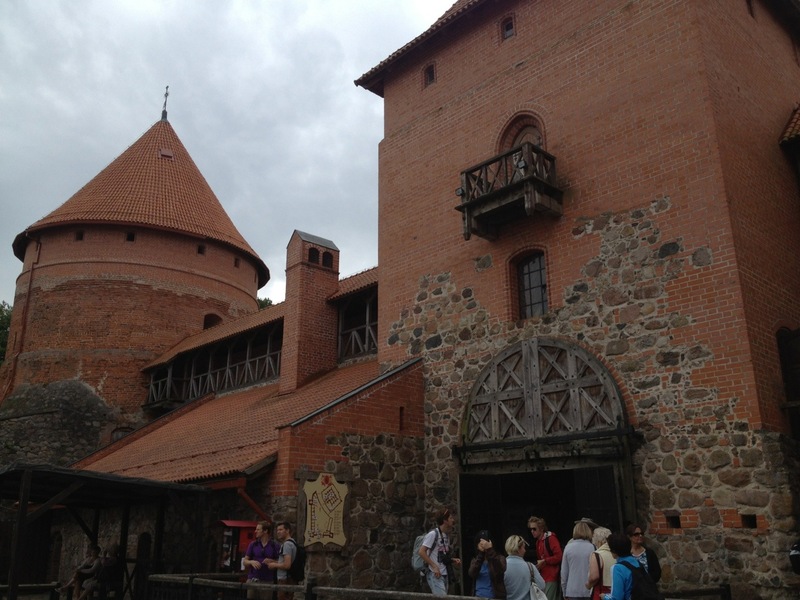 When the castle was undergoing this expansion in the 15th century, the water level of Lake Galvė was several metres higher than it is today. The castle builders took advantage of this by separating the Ducal Palace and the forecastle with a moat, just wide enough for small boats to sail through. They were connected by gates that could be raised in case of an enemy attack.